Posted September 7, 2016 by William Martin & filed under Headlines. The companion in this year’s Doctor Who Christmas episode has been revealed. 2016’s festive special began filming in Cardiff this week. Steven Moffat revealed in June that the Christmas ep will not feature Pearl Mackie and that new companion Bill won’t be introduced until the first episode of Season 10 next year. Fans on location today have now discovered who that guest companion will be. 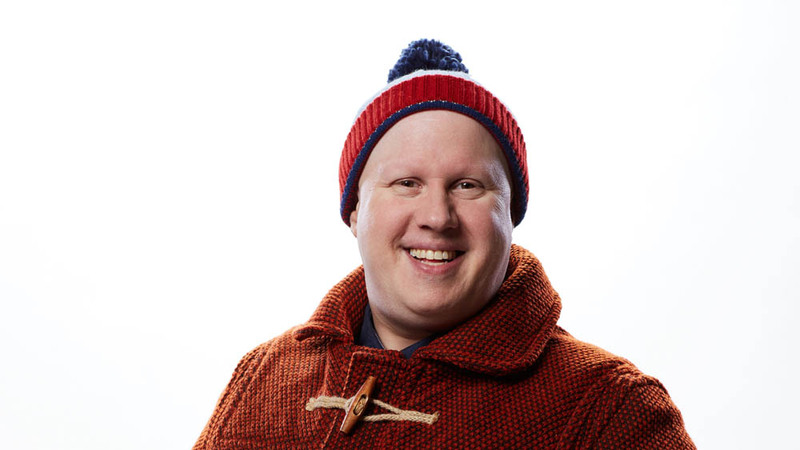 Matt Lucas will return as Nardole alongside Peter Capaldi’s Doctor this Christmas. The Little Britain star made his debut as Nardole, who met the Doctor on the human colony of Mendorax Dellora in the year 5343, in ‘The Husbands of River Song’. It was previously announced that Nardole would be a recurring character next year, but the assumption had been that he would not be back until Season 10’s first episode. Lucas has hinted that “Nardole is becoming more textured” in his new adventures. Peter Capaldi confirmed this week that Season 10 will begin in April 2017. So.. let me get this straight. After a needlessly traumatic companion death and a year wait, we get.. Matt Lucas. Words fail me. Darth Moffat, I really hope you know what you’re doing. This could backfire badly. No we get Peal Mackie AND Matt Lucas. Who is a brilliant actor and comedian to provide some much needed comedy relief after the seriousness and darkess of the last 3 episodes of Season 9. Exactly this. Can’t please people. Show is too dark so Moffat brings in an A list comedic actor. Oh noes, show will be too silly now. Actor makes brief and fairly innocuous appearance in a hugely popular Christmas special which is meant to be fun and fluffy – oh noes, he ruined the whole thing and his character wasn’t complex or dark enough. Moffat indicates that now he is a regular companion, we will get to learn more about him and travelling with the doctor will change him. Oh noes, he’s going to be exactly like he was in the Christmas special for all 12 episodes! Sigh. Sometimes Steven Moffat must be quite pleased he is leaving the worst part of Who fandom behind. And you know he’s the guest companion because…? Poor reporting. At any rate, while I wasn’t expecting this I think it is a good notion to install Nardole as a regular character prior to Bill’s appearance – leaves series 10 free to focus on what it needs to. Yup. Gets the Nardole back story out of the way, gives continuity from last Christmas and should have the right Christmasy balance of sweet, funny and poignant which will play to Lucas’ strengths as an actor. Nardole is clearly in Episode 1 of Season 10, so it makes sense that he’d meet up again with the Doctor in the Xmas special. That’s correct, with the exceptions of 2005, 2006, 2007, 2009, 2012, 2013, 2014 and 2015. So that’s correct 27% of the time. If you don’t like the 12th doctor, you’re out of luck, he will be back for season 11. Capaldi’s been asked back for season 11. He hasn’t made up his mind yet, but there’s a good chance he’ll be there along with Chibnall. In the meantime, you will take to the internet and fearlessly moan about how you hate Moffatt and Capaldi! People like you are not real fans. Some people aren’t really fans of Doctor Who so much as they’re fans of the idea of Doctor Who. Such people are best ignored. Chibnall isn’t rebooting anything. He will continue where Moffat left off. Its a continuation like what RTD did back in 2005. And still John Barrowman would swim the Atlantic and back and give his fee for charity just to return BUT NO. We can’t have that. I have always been a staunch defender of Moffat but sometimes his obtuse bloody-mindedness is beyond infuriating. Sometimes, just sometimes it is ok to give people what they want instead of giving people what you think they should want. Is this how Moffat really wants to bow out? I was expecting a brave and ridiculous and insane final season but everything so far points to mediocrity and bad comedy. I didn’t even mind Lucas when he first appeared but was there anyone on planet earth apart from Moffat and Lucas agent who was calling for more? and not only more but a special and an entire season? Moffat has tried a couple of times to work Jack back into the show, but Barrowman’s schedule has conflicted. He’s a busy guy. Further, Moffat isn’t giving people what they want by having Lucas back, he’s giving Lucas what he wants. He asked to return, Moffat enjoyed working with him, so he obliged. Isn’t Barrowman in the States working on Arrow at the moment? It’s in his contract that if either Doctor Who or Torchwood want him back they’ll let him go off and do that. It didn’t happen for A Good Man Goes to War. That was Torchwood getting in the way, Arrow didn’t even start production until well over a year later. You’re criticising Doctor Who for doing something comedic. That’s been a staple of the series since 1964 so I don’t understand the problem with it still being there now. by comedic do you mean wacky? If I meant to say “wacky” then I would have written “wacky” – Do you see how that works? It’s happening because Lucas asked to come back, Moffat enjoyed working with him, so he obliged the request. It worked fine when Catherine Tate played a one-off character who latter returned for more episodes, so I’m open to this. Same here. He was fine in Husbands, obviously he made a very positive impression on Moffat and Capaldi, he helped make the episode incredibly popular, so sounds like an easy decision. We have already been told his character will get a lot more fleshing out, so no reason he won’t end up being just as popular as Catherine Tate. Everyone hated her and complained about her in Runaway Bride and there was talk about her ruining series 4, but a lot of the same people ended up liking her. Tate and Lucas are about the same in terms of acting ability, so can see him being a great addition to the show. Exactly. I actually think Matt Lucas is a better actor than Catherine Tate. Give him some good writing and character development and he will be great. I liked him in Husbands and am very happy he is joining Peter and Pearl in the Tardis. Not every character has to be serious. I think you forget that Doctor Who is primarily aimed at kids…. shows that are aimed at children don’t have prime time slots. Its a family show, aimed at everyone. But if it weren’t for children watching, the show wouldn’t exist. They’re the key audience. you seriously believe the 1-11 demographic decides whats on anything after 4pm? thats the most ridiculous thing I have ever heard. I repeat – the show is for children at its heart, and without them it would be a different show, without them being considered in the 60s it would never have existed. Fans who have grown up with the show need to let go and allow children to have it to themselves. the simpsons and family guy aren’t aimed at children. I can’t think of anyone who would let their 4 year old watch The Family Guy. Its the Christmas Special so its not going to be downright serious. This makes a lot of sense as it will explain how Nardole joins the doctor and will allow the first episode of series 10 to focus (quite rightly) on Pearl. I know Nardole wasn’t everyone’s cup of tea but the reality is that HoRS got the most viewers of any Who episode last year, got one of the highest AIs, wall to wall great reviews and millions seemed to have loved every minute, Matt Lucas and all. Grumpy cynical adults might not appreciate the character (personally I liked Matt Lucas who was sweet and silly, but disliked Greg Davies’ OTT performance) but seems to have delighted children. And lastly, HoRS won the Saturn award for 2015’s best international TV scifi television episode beating Heaven Sent, so clearly Nardole does have his fans. Steven Moffat put out another hint that the episode would relate to a heart and a brain. I take this as a reference to the Wizard of Oz so my guess is that the story focuses on the wizard (the doctor) and the quest to secure Nardole’s body as he only has his brain. No doubt there will be a character called Dorothy or Gail, some kind of yellow brick road and maybe the doctor discovers he has a heart along the way. Done well, this could work a treat at Christmas, particularly if we encounter other characters wanting to be made whole again and trying to appeal to the doctor’s better nature. Looking forward to it and still believe that Matt Lucas will win over those current skeptics who at least go in with an open mind. If there is one thing Moffat does excel at, it is his Christmas specials. Apart from Widow (which at least looks wonderful and has a charming central performance by Matt Smith), they have ranged from good to great. Yeah, like THAT will ever happen! this isn’t really a surprise. The hinting around it has been less than subtle. Moffat refuses to bring back characters that fans want, almost to spite them. There are a lot of actors what would jump at the chance to come back to the show for an episode. Moffat only really likes characters he invented. Interesting… I wasn’t exactly clamouring for him to come back but his inclusion in The Husbands of River Song was enjoyable enough so this should be a good thing. To those who are complaining I have only two words to say to you: CATHERINE TATE!!! I have only two words to say about this: Catherine Tate. The last time we saw a comedian who had a somewhat underwhelming debut, it eventually led to the best year of stories under Russell T Davies. I intend to give Matt Lucas, an under-rated performer at the best of times, the benefit of the doubt. Personally, I really enjoyed Matt Lucas in Husbands of River Song. I think he will be a fine addition to the show. Like most people, I found Catherine Tate’s debut in her Christmas episode totally nails on a chalkboard, but I went into series 4 willing to let her prove me wrong. Although she never really gelled as a character for me, I could appreciate she was trying to do her best, despite some dodgy writing. I think most of us ended up respecting her for that. Give Matt the same chance. He is a good actor given the right material and it is clear he has won the admiration of both Steven Moffat and Peter Capaldi. It will be interesting to see how Nardole’s head is reattached to his body. Official announcement about Christmas special to be revealed tomorrow. Think some of the guesses here fairly close to the mark, others way off. Not much of a surprise, but a huge disappointment. Why are we getting River Song’s “butler?” He was a throwaway character at best. Sigh.